Whether you’re completely new to the hobby of photography of you’re upgrading your equipment from a point-and-shoot camera, buying a DSLR is a great investment 5 Money-Saving Tips You Should Know Before Buying a DSLR 5 Money-Saving Tips You Should Know Before Buying a DSLR Here are some helpful tips for making photography a more financially-manageable activity. Read More . But with so many options out there, how do you choose the right one? 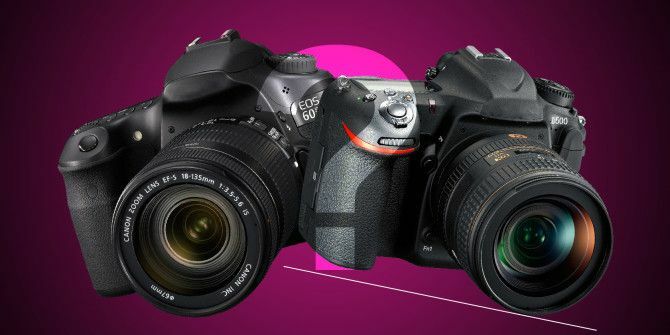 Every camera has so many specs and features that it’s hard to tell them apart. In this article, we’ll take a look at the various things you need to know to choose the right DSLR for your needs. Also, if you haven’t read Why You Should Never Buy a New DSLR Camera (And Always Buy a Used One) Why You Should Never Buy a New DSLR Camera (And Always Buy a Used One) Why You Should Never Buy a New DSLR Camera (And Always Buy a Used One) Here's why DSLR camera bodies and camera lenses should always be bought used -- especially if you're a newbie shopping for your first entry-level DSLR or a hobbyist replacing your first model. Read More , I highly recommend checking it out before going any further. This is possibly the most important feature of your camera, but it’s one that a lot of people don’t really know about or understand. Inside of every DSLR is an image sensor, which is what records the image you’re seeing through your viewfinder and sends it to your memory card. The bigger the sensor, the more information it can capture, and the clearer your pictures will be, especially when they’re magnified. We’ll start with the largest sensor size, which is known as “full frame.” Full frame sensors are the same size as 35mm film: 36mm x 24mm. This size will give you maximum clarity, and image quality, which is why full-frame DSLRs are quite expensive. Most entry-level cameras have crop sensors, which are of a smaller size. Exactly what size they are varies a lot between brands and models. For example, an APS-C sensor, which is very common in entry- and mid-level DSLRs, is 23.60mm x 15.60mm… unless it’s Canon’s APS-C, which is 22.20mm x 14.80mm. The micro “four thirds” sensor is also common, and measures 17.30mm x 13.00mm. There are a number of other sizes as well, but the relationship between sensor sizes is a simple one: the bigger, the better. Of course, larger sensors are also more expensive, so you’ll need to decide how much you’re willing to spend to get superior image quality. Most entry-level DSLRs will have micro four thirds or APS-C, and both of these provide a good balance between price and image quality (they also affect how your lenses work Here's How Digital SLR Sensor Crop Affects Your Lenses Here's How Digital SLR Sensor Crop Affects Your Lenses Most of us own cameras with small cropped sensors, which artificially increase focal lengths on full frame lenses. Here's what you need to know. Read More , but you don’t really need to worry about that yet). While sensor size is the most significant factor that will contribute to the clarity of your photos, especially at larger sizes, most people think that megapixels What Is A Megapixel? What Is A Megapixel? 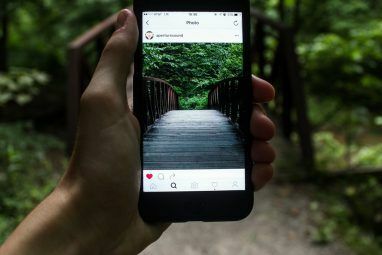 Megapixels are one of the most common ways of advertising the quality of cameras, especially relatively low-end cameras aimed at the mass market likes the ones in typical smartphones. Read More are the end-all-be-all measure of camera quality. It’s an easy mistake 8 Camera Myths You Should Stop Believing Immediately 8 Camera Myths You Should Stop Believing Immediately Let's clear up some of the strongly held and often completely misleading beliefs when it comes to compact cameras and DSLRs. Read More to make, as camera and phone manufacturers talk about megapixels all the time. And they are important, but probably not as important as you think. In an article about megapixels, David Peterson states that if you have anything at or above around seven megapixels, your prints will be sharp up to 14×11, which is quite a bit larger than most people print. And with even entry-level cameras packing over 15 megapixels now, you can start to see why megapixels are as much about marketing as they are image quality. In short, don’t worry about megapixels. You’ll be getting more than enough anyway. If you think you might use your DSLR for video recording, you’re going to want to look at the video capabilities that your options provide. For example, some entry-level cameras can record in full HD 1080p, while others are limited to 720p or non-HD recording. Different recording frame rates are also available, with higher rates smoothing out motion better than lower rates. This may or may not be a big deal to you, depending on how much video you think you’ll record, but it’s worth looking at, especially if you’re not sure if you’ll be recording videos or not. 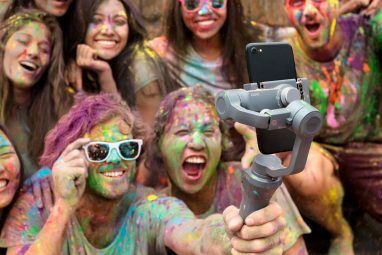 Even if you don’t plan to now, a camera with better video might come in handy in the future. Also, filming with a DSLR is different than filming with everything else, so check out these resources on how to get great videos from your DSLR 5 Courses to Create Great Videos With Your DSLR Camera 5 Courses to Create Great Videos With Your DSLR Camera Udemy is home to some of the best DSLR video tutorials online. Get started with these affordable courses if you curious to upgrade your skills in shooting video. Read More . Of course, learning to shoot in aperture- or shutter-priority, or — even better — manual mode is the best way to go, but when you’re just getting started, having the camera help you out a bit with specific modes can be a big help. Take a look at the modes available on the cameras you’re comparing to see if there are any that stand out at you. For the most part, if you’re not using aperture, shutter, or manual modes, Auto will probably be fine, so this shouldn’t be a deal-breaker, but it’s still something to keep in mind. A number of cameras also include quick editing abilities so you can edit photos right from the screen on the back by applying filters, automatically making adjustments, or changing the exposure settings. It’s much easier to make these edits with photo editing software on your computer, but being able to play around with your pictures without connecting your camera and downloading them all is fun. The vast majority of entry- and mid-level cameras are packaged with what’s called a “kit lens,” which is an 18–55mm (or thereabouts) zoom lens. These lenses tend not to have the same quality glass or the same number of features as more expensive lenses 5 Common Photo Lenses and When to Use Them 5 Common Photo Lenses and When to Use Them Though there's no photographic rulebook when it comes to focal length and aperture, there are a few best practices to remember. Read More , but they do the trick. However, if there’s a package deal where you can get a nicer 18–55mm lens, a 50mm prime lens Zoom Lenses vs. Prime Lenses: What's the Difference? Zoom Lenses vs. Prime Lenses: What's the Difference? After graduating from a kit lens, you’ll need to decide between a prime lens and a zoom lens. But what exactly is the difference? Which one is better for you? Read More , or even an extra telephoto lens, that can make a big difference in your purchase decision. Many retailers put together package deals that’ll give you the camera body, kit lens, and a number of accessories like a bag, memory card, strap, or extra lens for less than the price of buying all of the pieces of the kit at retail, and if you see a good deal on one of these kits, it’s probably a good idea to grab it while you can! While most DSLRs, especially at the entry level, will look and feel pretty much the same, there are some considerations that you may want to keep in mind. For example, some cameras include LCD viewscreens that are nicer than the screens included on cheaper models, which will give you a better place to review your photos. Other have screens that can pop out of the back of the camera and rotate, which is really nice if you’re trying to take shots at unique angles. Sometimes they’ll include a touchscreen, which is often easier to navigate than using the small buttons on the back of the camera. Some cameras are meant for people with smaller hands, and if you don’t fall into that demographic, you’ll find that the camera feels a bit cramped. Going with a larger-bodied camera will relieve some of the discomfort of this problem. Most entry-level cameras will have polycarbonate bodies, which are quite light, but also don’t feel as sturdy or nice as higher-level cameras. As you pay more, the quality of the camera body will increase, so if extra durability or a nicer feel are important, that’s something you may want to keep in mind. Deciding to buy a new DSLR is a big step, and you’ll want to make sure that you’re choosing the best camera for your particular situation. 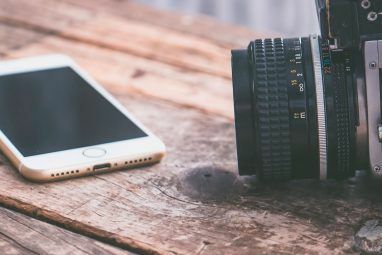 By comparing the sensor size, megapixel resolution, lenses, and various other specs on each camera, you’ll get a much better idea of what you’re getting for your money. Make an informed decision, and you’ll be happy with your purchase and well on your way to becoming a photography enthusiast From Beginner To Enthusiast: Replacing Your First Digital SLR From Beginner To Enthusiast: Replacing Your First Digital SLR If you want to upgrade your digital SLR, then you should. But there may be a few things you need to consider before you part with your cash... Read More ! What else do you look at when you’re choosing a DSLR? What have you found that sets some cameras apart from others? Share your best camera-buying tips in the comments below! Image credits: Rodrido.Argenton via Wikimedia Commons. Ability to shoot in RAW. Weatherproof and dust proof., Viewfinder coverage. Dynamic range. Thanks I learned a lot about how many megapixels I need for the photography I do. You're welcome! It's easy to think that megapixels are the be-all and end-all of digital photography, but they're actually not as important as a lot of manufacturers make it seem. In general, more is better, but if you know not to get sucked into the "the most is the best!" trap, you can get a nice camera for a really decent amount of money.